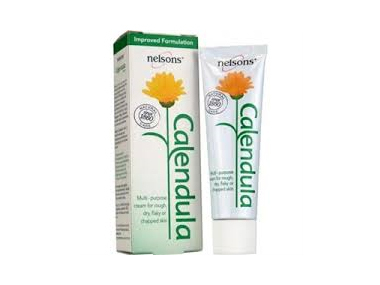 Buy Nelsons calendula cream 50ml in the UK from our online shop or directly from our independent Scottish store. Nelsons calendula cream is carefully prepared using the purest extracts from the Calendula (Marigold) plant. Our Nelsons Calendula cream is carefully prepared using the purest extracts from the Calendula (Marigold) plant, famous for its multiple skin conditioning properties. Specially developed to soothe and hydrate tired, damaged skin or skin that’s dry, rough, chapped or flaky, Calendula has been used for generations to nurture and restore healthy skin. The unique benefits of Calendula make this multi-purpose solution ideal for everyday use; moisturising, nourishing and protecting your skin all year around. This non-greasy, easily-applied and rapidly-absorbed multi-purpose cream is suitable for even sensitive skin on the face, hands and body. We sell real Nelsons and other Dry Skin directly from our shop in Scotland and online throughout the UK. Where can you buy real Calendula Cream 50ml safely online? If you are wondering where you can buy Nelsons calendula cream 50ml safely online in the UK, then shop with us. Calendula Cream 50ml - Nelsons calendula cream 50ml in Dry Skin and Medicinal Skin Care.